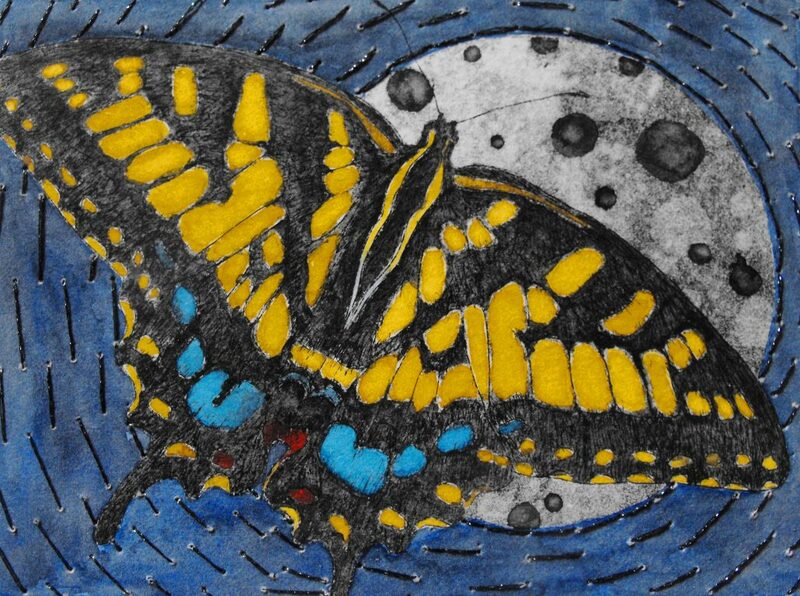 I am a printmaker and mixed-media artist living in Ottawa. I believe that the creative process in artistic self-expression offers a powerful and unique opportunity to promote growth, healing and transformation in and outside of one’s self. I am guided by an interest in the visual language of a thought or feeling, the generated image and its imminent potential for transformation. I investigate the power and vulnerability of a landscape, whether concrete or conceptual, the underlying energies and movements, and its affinity with the human experience. By means of experimentation, tactile techniques and layering, I have the opportunity to observe and explore the interaction of materials and the interplay of colour and form, subsequently creating texture and depth, and finding a balance between design and spiritual tone. 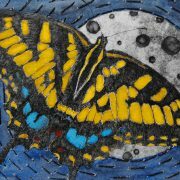 My current investigation in printmaking has unleashed newly discovered potential to assimilate my creativity and knowledge with my enthusiasm to succeed in producing new and unique printed art. The intent is to entice the viewer to consider what’s hidden within, between, and below the layers. Intaglio is a printmaking process in which the design is cut, scratched, or etched into a printing surface of a copper, zinc, or aluminum plate. The ink is then rubbed into the incisions or grooves, the surface is wiped clean, and the paper is embossed into the incised lines with pressure from a roller press. Intaglio processes are the most versatile of printmaking methods, as they can produce a wide range of effects. Depending upon the colors and techniques used, the style of printing, the imagery is explored resulting in numerous yet distinct representations from one single intaglio plate.